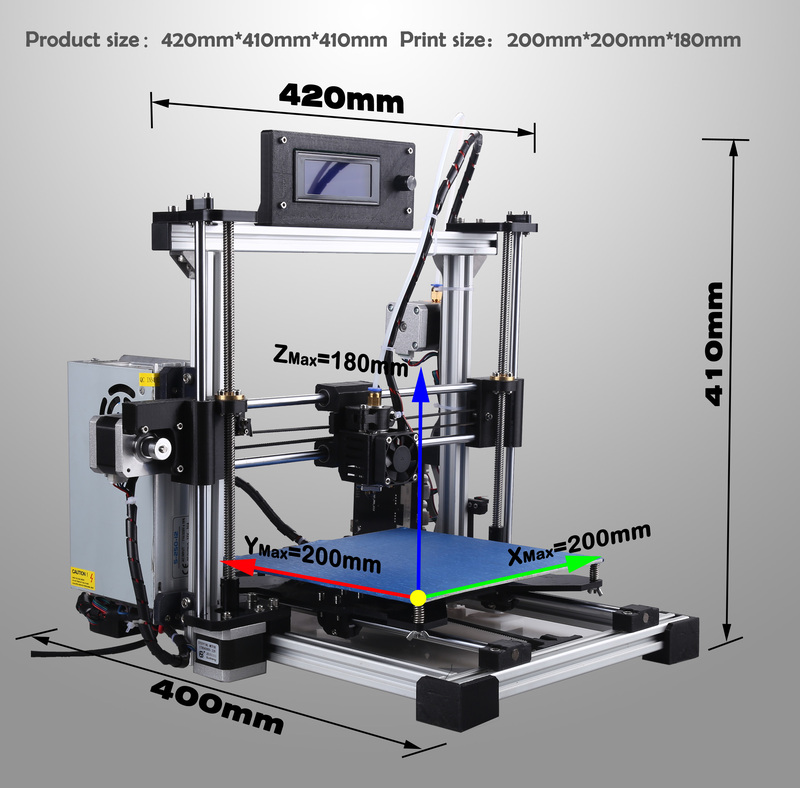 Maxmicron R8 Aluminium Frame Autoleveling Prusa i3 kit printer is based on the development of Reprap Prusa i3 Printer, The structure and hardware of the printer are primarily optimized. 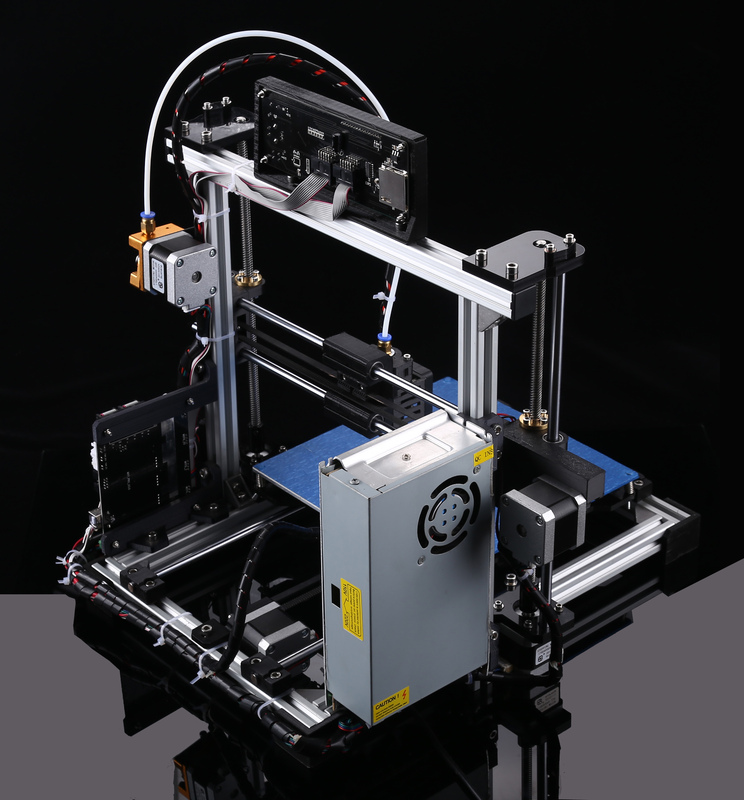 By closely listening to our community and existing customers, we’ve developed the R8 with all required features to print at professional level from the scratch. DHL/FedEx/UPS High quality service. Transport without damage. Experiencing trouble with your R8? Feel free to contact us! 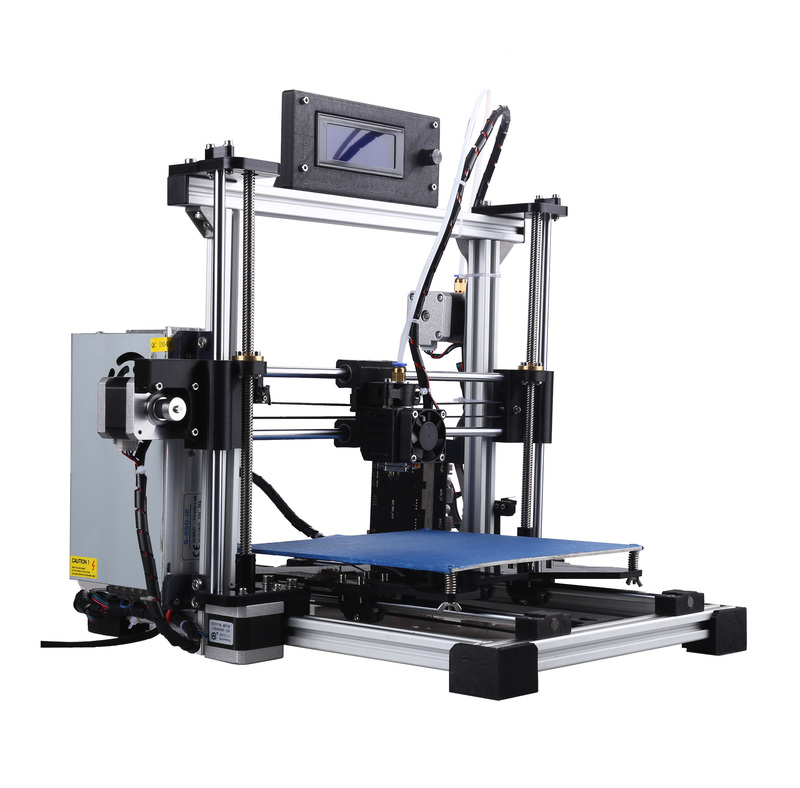 3D Printing process stability should be essential, this entry-level 3D printer, using the European standard aluminum metal frame design provides excellent strength and stability, better printing effect with the best possible print quality at ease. 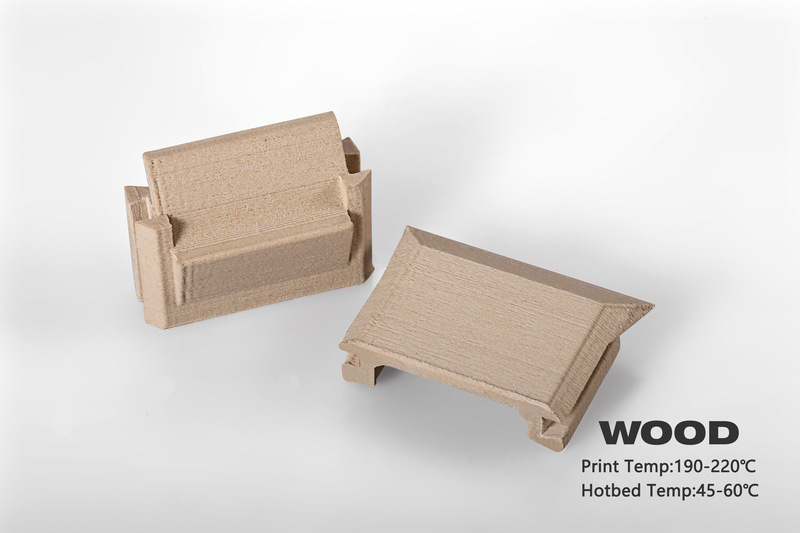 Plastic printing materials requires High Temperature Heated Build Plate, which prevents the corners lift up due to warping. 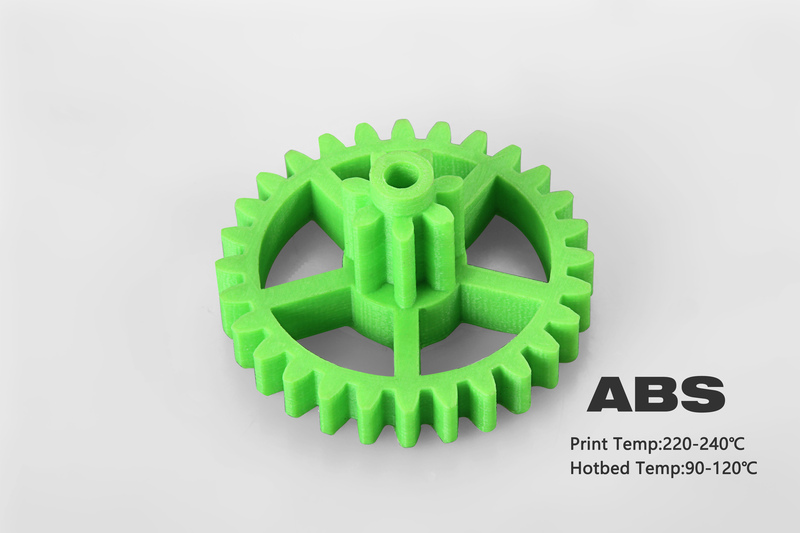 For example, the use of ABS, HIPS, PETG and other high shrinkage of the material, FDM molding requires high temperature heat bed. R8 use 200W heat bed,which essentially speeds up the heating process and brings out the best from such Filaments which works only at high temperatures. 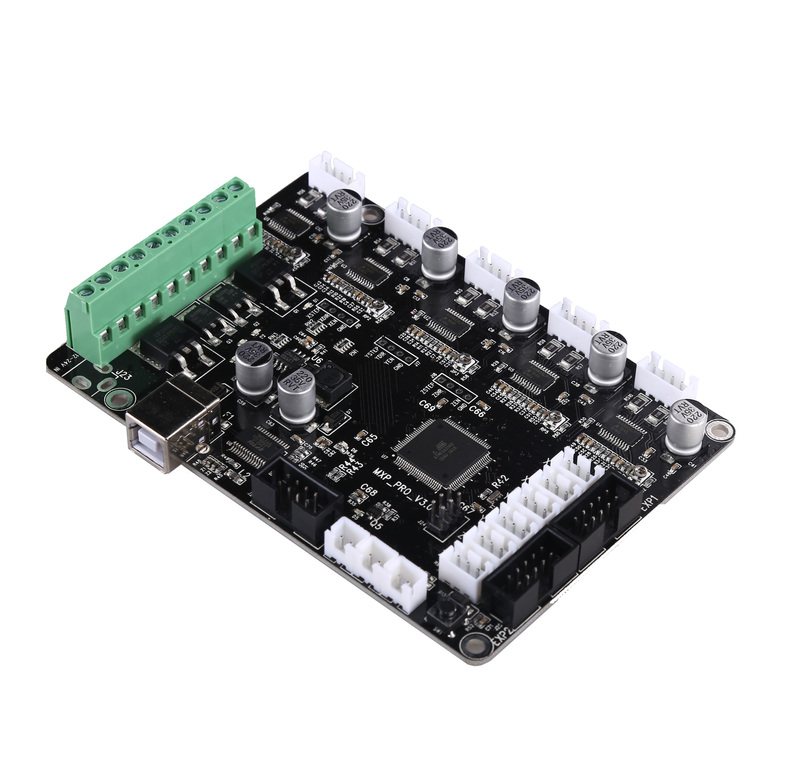 The R8 motherboard gives strong compatibility, sets all the functions on a board, solve the Ramps1.4 combination interface cumbersome and easy to troubleshoot the issues.For hotbed, we adapted IR original imported high performance N-MOSFET, low resistance, high switching speed of N-MOSFET to enhance the heating efficiency and decrease heat, so that it can withstand the harsh test of 260W platform heating.Using A4982 as the motor driver chip,TSSOP package to provide better cooling performance, Optimization of PCB route design let the signal transmission is more stable, lined up A4982 layout let the heat more evenly distributed, Fully connected radiating copper skin and exposed radiating window provides excellent heat dissipation performance for the motor drive chip. 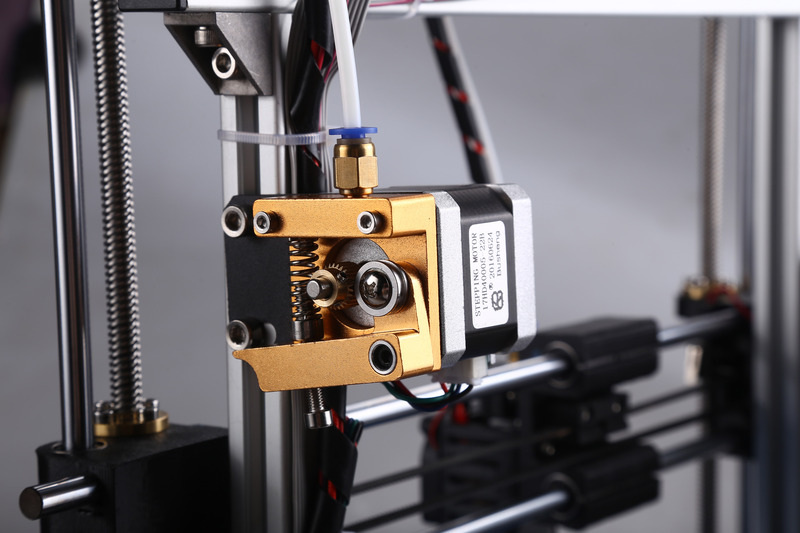 With the Distal extrusion mode, the weight of the hot end can be reduced to the maximum extent, which not only improve the printing speed and printing precision, but also improve the stability of the machine..
E3D V5 Hot ends gives you a large range of options regarding types of printing materials.It is designed to be easily swappable. 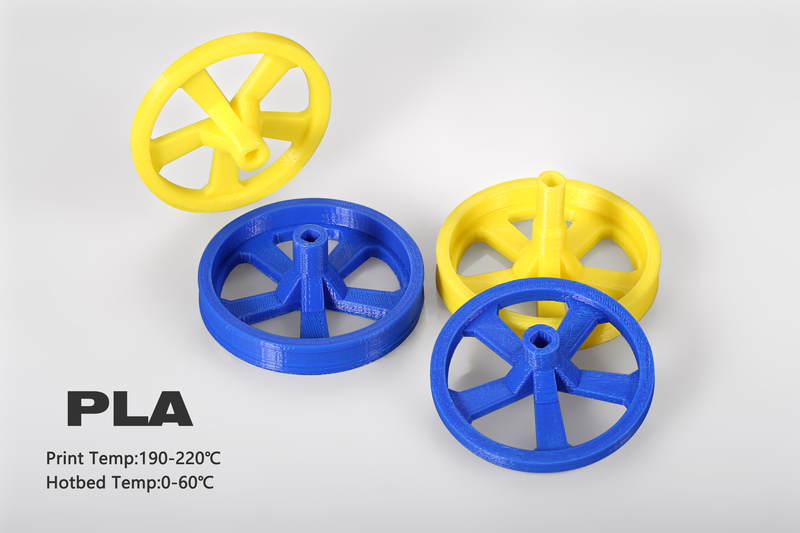 Reach Extremely High Temperatures.High Precision,High quality surface finish,Aesthetically Pleasing,Improves extrusion accuracy,Reduces 'blobbing' ,Lowers extrusion force and Less retraction required.Version 5 of this HotEnd is more easily assembled and remains directly compatible with standard 16mm extruder bodies and should fit most extruder bodies accordingly. This is an upgraded MK8 Metal extruder, which has outstanding quality and the best performance for DIY and professional systems.You will find it easy to solve the problems of uneven extrusion, regularly plugging and material reloading.Less heat buildup,Special ceramic insulation cotton ensures the stability of heating,Direct transmission, without the heavy gears ensure high quality prints and durable performance. 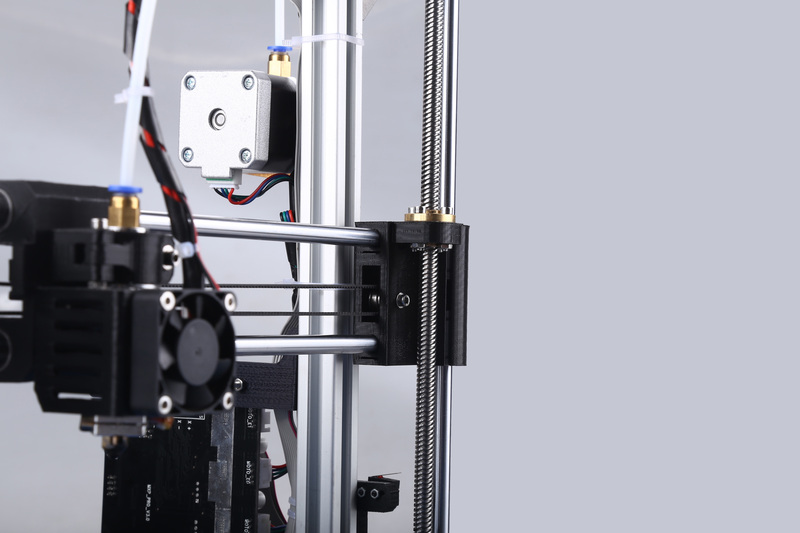 Proximity switch as level sensor should be fixed on one side of the printing head. 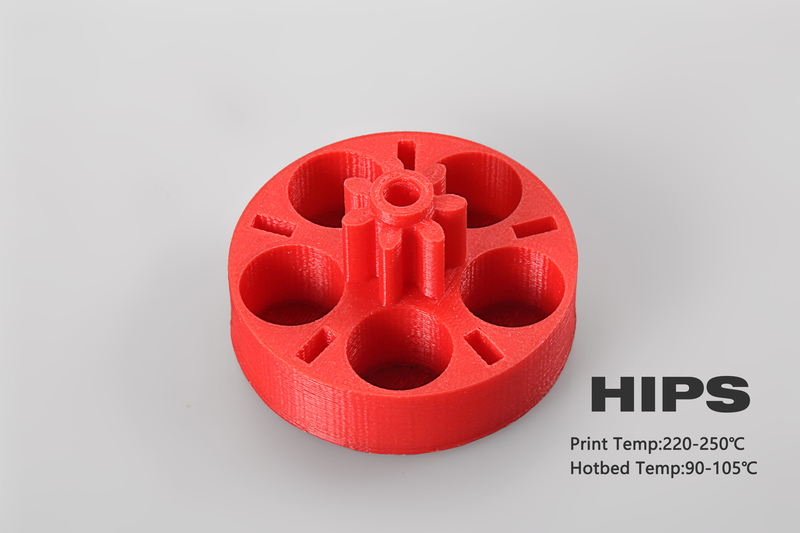 As its functions,4 points automatically sets between the hot end and Print plate to determine the reference surface .This feature will enable your printer to take several bed leveling readings and calculate a level plane so your prints are always level. 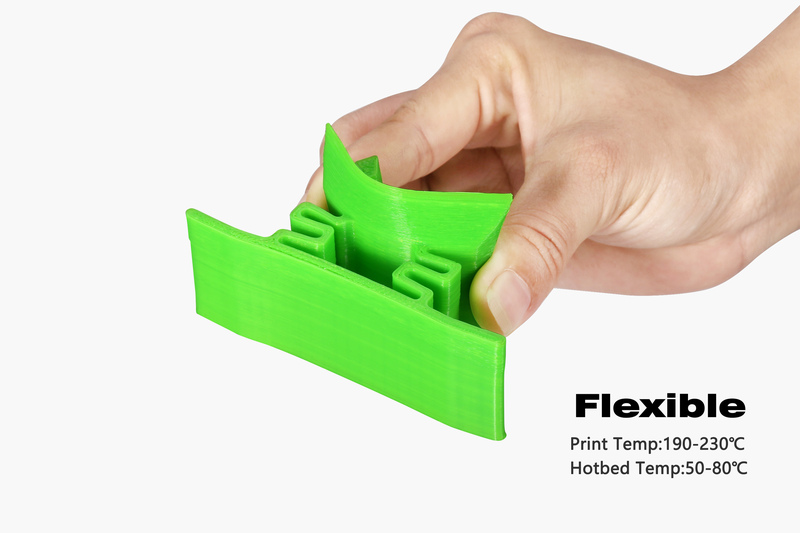 While printing each layer, you z-axis will be in constant motion to compensate for an un-level bed as to avoid the conventional manual leveling whilst printing and printing accuracy will be improved. The printer arrived on time to Argentina, passed through customs, great service and quality of pieces. I think the best part about the printer is offer. However, the Maxmicron Aluminium Frame Autolevelling Prusa i3 is also good own it’s own. 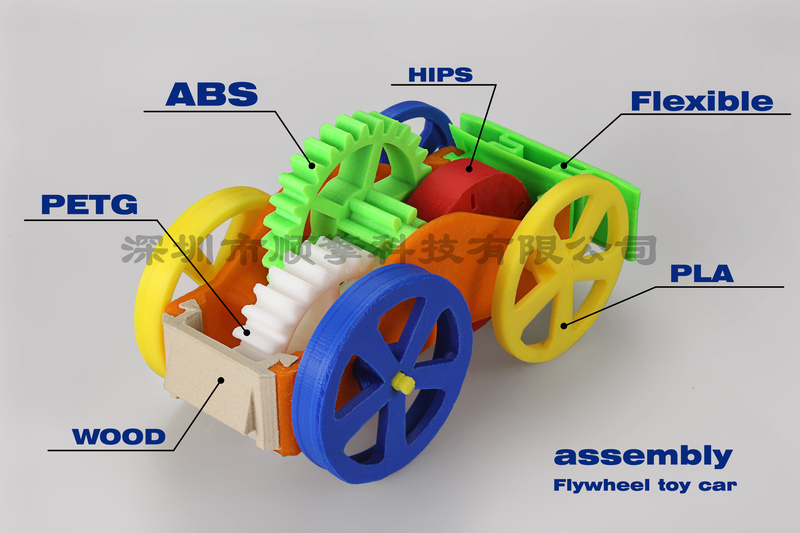 The kit is easy to assemble and the build quality is actually as they have mentioned. 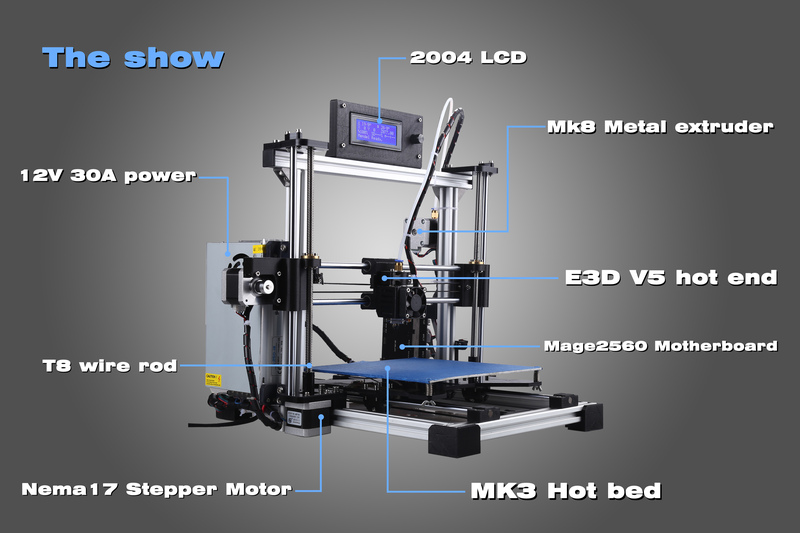 This is one 3D printer that has lived upto my expectations after my previous bad experiences. The free filaments were of good quality. The SD card was also good. The packaging stuffed and the delivery was good. 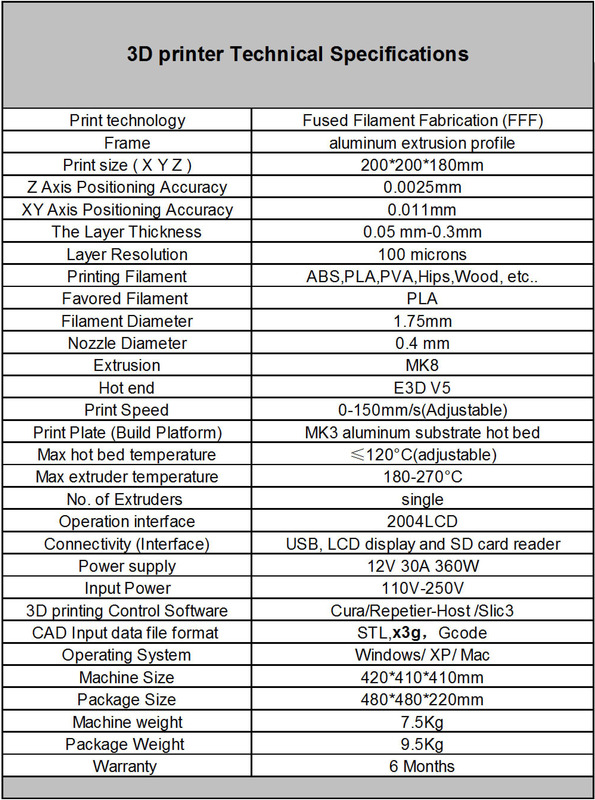 I don’t think free 1 kg filament plus 8 GB SD card offer is available anywhere on the internet. I placed the order looking at this offer and it really turned out to be the right thing. The print quality is good and auto leveling is awesome. 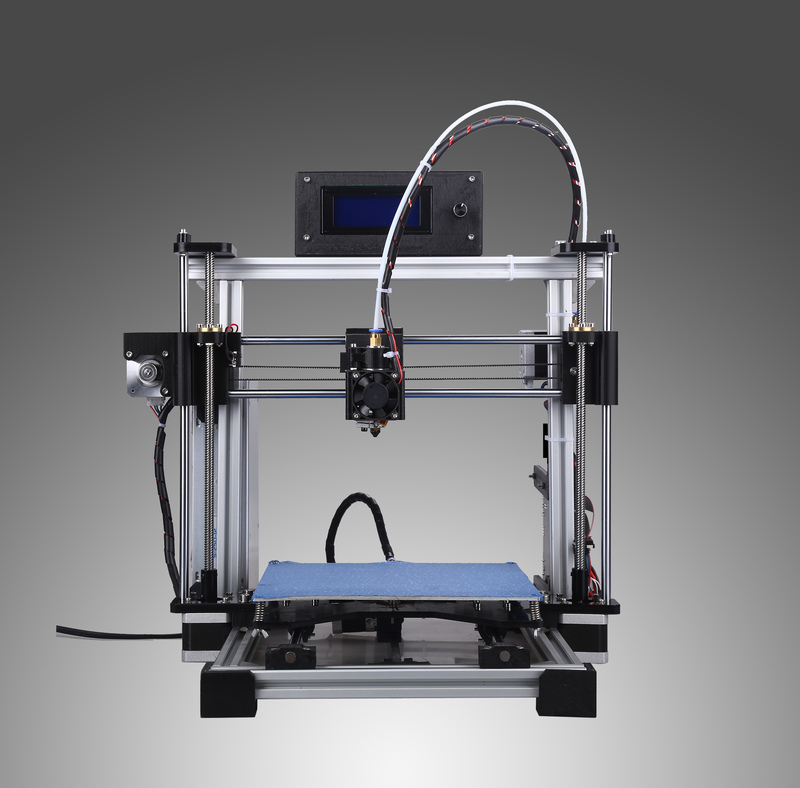 I would definitely recommend the printer as well as 3D Printers Bay. My printer arrived in a day before. It was a decent printer to start my 3D printing knowledge with! Also their client administration is brilliant! I encountered a few issues and they answered both in a convenient way and proposed arrangements that worked truly well! They are benevolent and are willing to help with whatever issues you may be having! 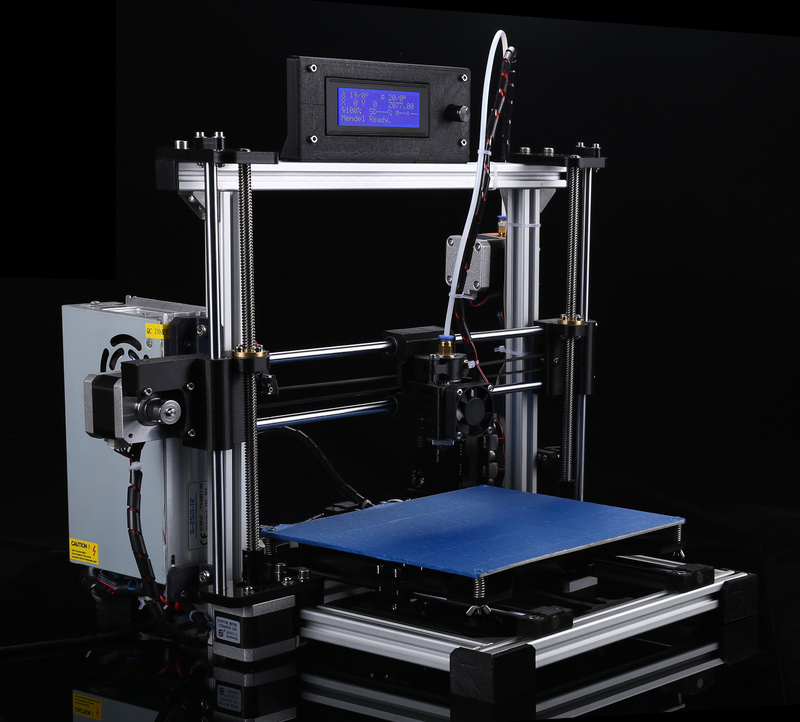 On the off chance that you are contemplating purchasing a printer, I would propose purchasing from this site,. Have a decent day and stay amazing!